← Peter and Marissa are hitched! One of my favorite seasons as a professional photographer is Senior Portrait season. Robin and I both love it! Why? There’s so much negative press about teenagers. People have been moaning about “today’s young people” since Bill Shakespeare was penning plays. But we don’t buy any of it. Senior Portrait sessions give us the chance to spend time with dozens of seniors all over Southern and Central Maine so we get to meet a lot of great kids. Wednesday night we spent a couple hours with Alaina and came away feeling like we were blessed. 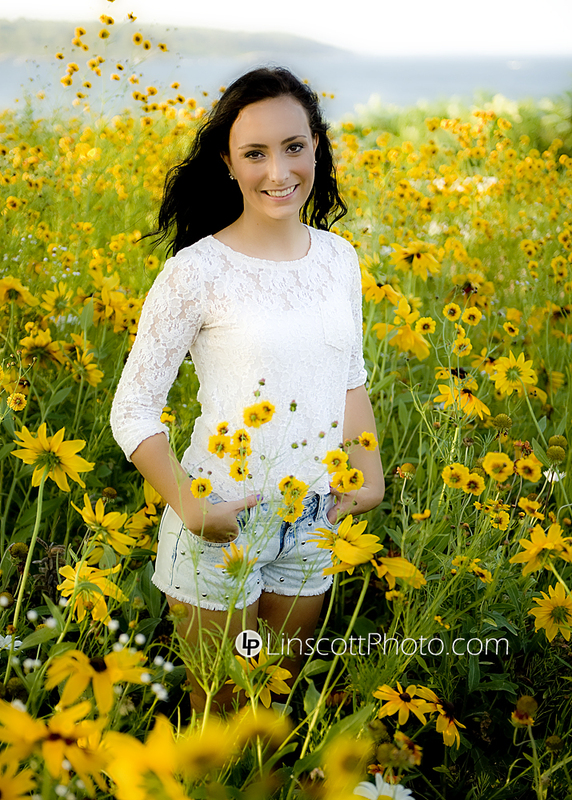 Alaina is a member of the St. Dom’s High School Class of 2014. She’s a top student, a tennis player, basketball player and is looking forward to giving cross country running a shot this year. But beyond all those accomplishments is a solid, delightful, beautiful person with a contagious enthusiasm. Alaina quickly put aside the normal nervousness of senior portraits and started having fun. She was not only fun to photograph but fun to be around. About halfway through her shoot Robin and I discovered that she is a country girl. She likes the music, the style and the attitude. The cool thing about that is that I have been looking for a country girl to photograph for my portfolio for a few years. We’re going to get together again later in the summer, or maybe during foliage season for a country shoot. That will be a lot of fun. Enjoy these preview shots from our session together. If you haven’t booked your senior session yet, Robin and I would love the opportunity to shoot your senior photos and spend some time with you. Send me an email at scott@linscottphoto.com and we’ll set it up. Gallery | This entry was posted in Uncategorized and tagged best senior portraits, class of 2014, Fort Williams, Maine seniors, photography, portrait, portraits, professional photographer, Scott Linscott, senior pictures, senior portraits, top Maine photographers. Bookmark the permalink.